CHESTERFIELD COUNTY, S.C. – Incorrect charges were filed against a South Carolina mother who, according to investigators, has told a story in which her young daughter later found dead was abducted. 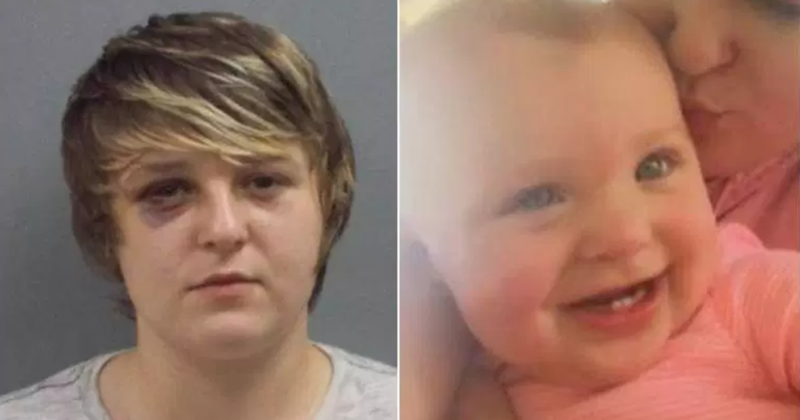 Breanna Lewis is the prime suspect in the death of 1-year-old Harlee Lewis, whose body was found "hidden in a diaper box" Tuesday afternoon, two hours after the woman called police and reported her missing. Sheriff Jay Brooks said shortly after 4:00 pm. that the girl was found dead in the diaper box in a field about 1,000 yards away from the home of the Chesterfield County family. There is not a word about how she could have died. Chesterfield County Sheriff Jay Brooks says Breanna Lewis, 19, originally reported that someone had attacked her and taken the child out of her arms when she checked the post office on Tuesday afternoon. She told MPs that a guy in an SUV pulled up, jumped out of his vehicle, punched her in the head several times, picked up her daughter and fled the scene, reported CBS affiliate WBTV. She was reportedly describing the suspect as a white man in a hat, coat, and a single black glove. Lewis had severe bruising when MPs arrived, the station reports. But after the authorities found the child's body, they believed there was never a kidnapping, and they took Lewis into custody. The investigators did not say what they really think about the girl. Lewis was not charged in connection with the girl's death.